Last October 10, 2011, President Noynoy Aquino signed Proclamation No. 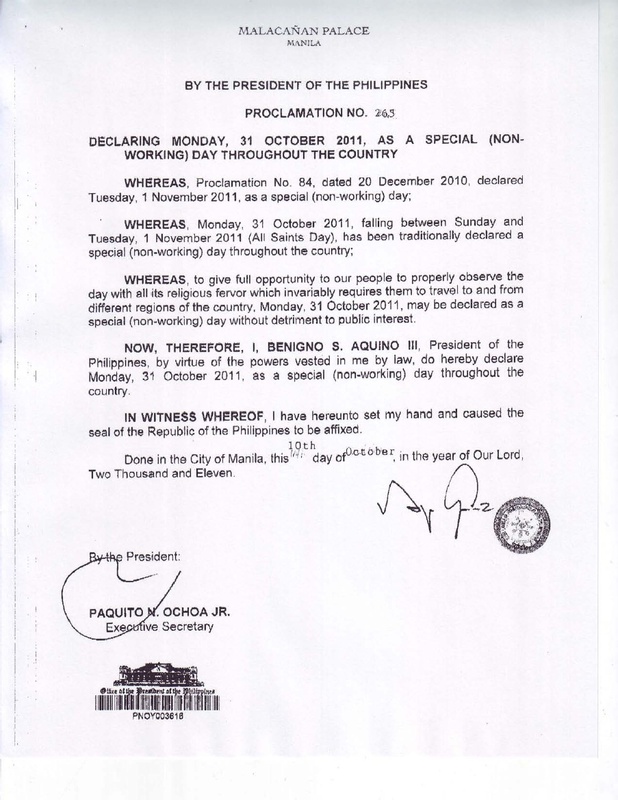 265 declaring October 31, 2011 as a special non-working day throughout the Philippines. That makes the weekend of October 29-30 extend to November 1, which is traditionally a non-working day for Filipinos — All Saints Day. Rejoice! We now have four (4)days vacation! The President wants to give the Filipinos to properly observe the Holy Day and thus the additional holiday will provide us time to travel to our respective hometowns.